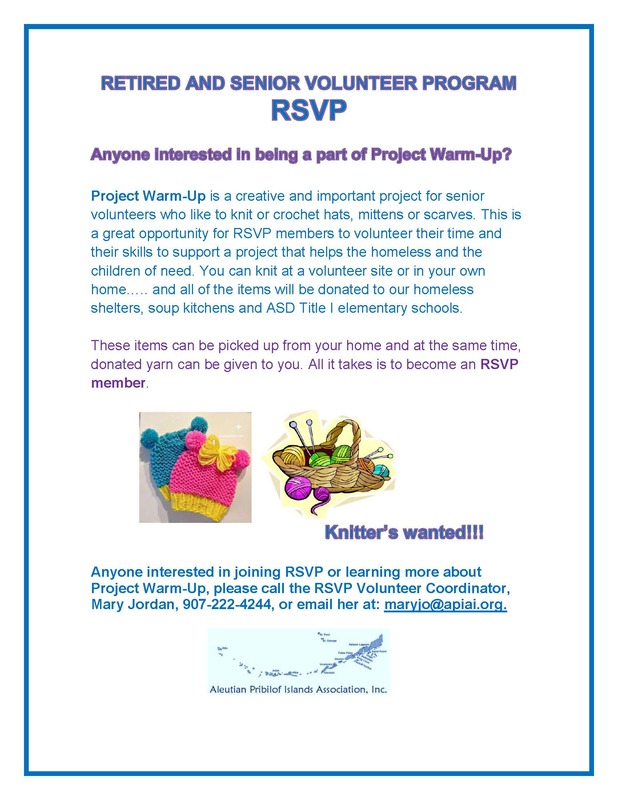 RSVP stands for Retired and Senior Volunteer Program. 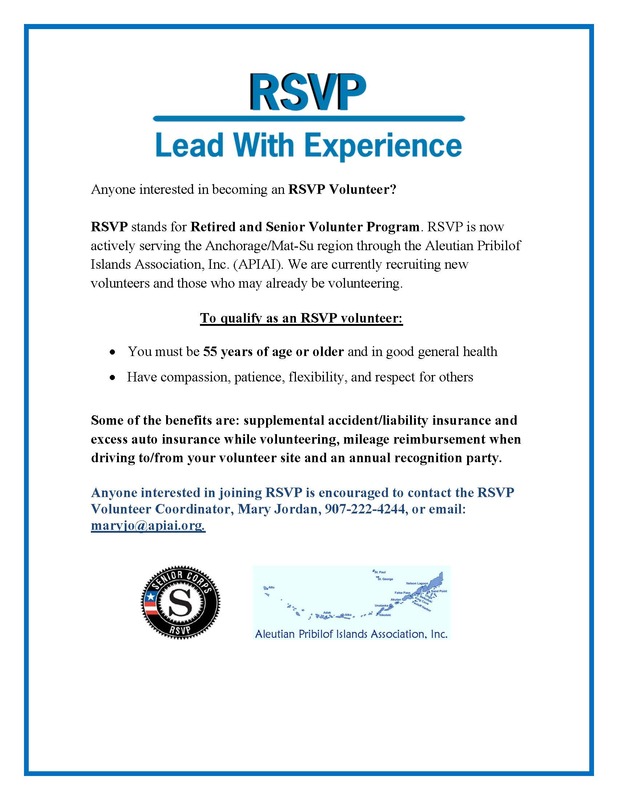 RSVP is now actively serving the Anchorage/Mat-Su region through the Aleutian Pribilof Islands Association, Inc. (APIAI). We are currently recruiting new volunteers and those who may already be volunteering.